GoXtra News: WHO IS SHEPHERD BUSHIRI? While his followers are screaming 'release papa' not since the likes of Nigeria's Prophet TB Joshua has a non-South African religious leader been the subject of so many debates and controversy. Men that are old as his father are calling him 'daddy'. EWN Reports that in less than five years, controversial church leader Prophet Shepherd Bushiri has grown to become one of the most talked about religious figures across southern Africa. But what exactly is known about the man whose name gets people, no matter their religious or non-religious affiliation, talking? Not since the likes of Nigeria's Prophet TB Joshua - the leader of the Synagogue Church of All Nations (Scoan) where more than 100 South Africans perished when a building collapsed in 2016 - who caught South Africans' attention through prophecies and 'miracles' performed in his church, has a non-South African religious leader been the subject of so many debates and controversy. • Born Shepherd Huxley Bushiri on 20 February 1983 to parents Huxley and Christina Bushiri Ntcheu District, Malawi. • According to his official Facebook page, Bushiri’s birth was “mysterious” with “many issues such that after he had been safely delivered, his mother called him Shepherd, acknowledging that the Lord is her Shepherd”. • He attended Moyale Secondary School and later Therapon University. • He has been married to Mary (Zgambo) Bushiri for seven years and they have two daughters, Israella and Raphaella Bushiri. • Bushiri is the founder of Enlightened Christian Gathering Church (ECG) and the Shepherd Bushiri Ministries International. ECG Church has its headquarters in Lilongwe the capital city of Malawi and branches across the African continent. • According to his Facebook page, prophecies Bushiri receives from God “are accurate and precise”. • ECG opened in South Africa in 2012, with Bushiri only arriving in the country in 2015 to take over leadership of the local branch. According to Bushiri, ECG has branches in 178 countries across the world. • ECG’s main South African branch is based at the Tshwane Showgrounds in Pretoria, where he and his wife spend most of their time ministering when they are not travelling. • Bushiri also goes by the title ‘Major One’ which is used by his followers. • Bushiri is the chairman and founder of Shepherd Bushiri Investments, based in Sandton, Johannesburg. Mary Bushiri is a director. • According to the company’s website, the company is registered in South Africa, UK and the US. There are five subsidiaries under the company: SBI Education, SBI Airways, SBI Hotels, SBI South Sudan and PSB Mobile Network. • In 2015, a video of Bushiri allegedly walking on air was uploaded onto YouTube and went viral. • In 2017, Bushiri had tongues wagging when he bought his then six-year-old daughter Israella a Maserati worth over R1 million for her birthday. • In January 2018, the Botswana government ordered the closure of ECG in the country due to claims by Bushiri that his followers could have money appear to them through the "miracle money" promise. • Three women were killed during a stampede at ECG in Pretoria in late December 2018. It’s understood congregants assembled at the Tshwane Events Centre show grounds for a church service. The stampede occurred when an unexpected thunderstorm hit Tshwane and church members started pushing each other while seeking shelter. On 1 February the CRL Rights Commission found that Bushiri was not responsible for the stampede, saying that the church fully complied with safety regulations. • In January 2019, reports emerged in the City Press about a woman named Phumzile Paledi, alleged to be Bushiri’s mistress. Paledi said Bushiri is only her spiritual father and that nothing was going on between them. 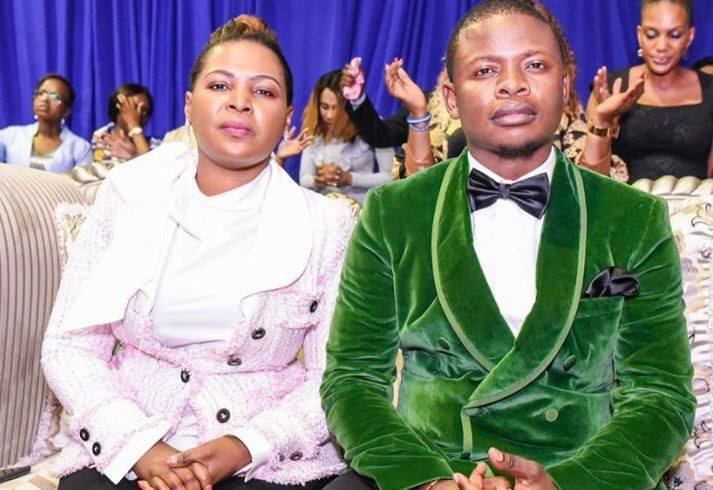 • In early February 2019, Bushiri and his wife Mary were arrested by the Hawks on fraud and money laundering charges. Early in 2018, reports emerged that Bushiri was sending about R15 million a month to his birth country Malawi.